Songs discussed here are linked to Bill’s Soundcloud page, with details on the inspiration and provocation behind them. Deep Down in the Well is the most recent upload to a compilation of new songs I am recording this year. The SoundCloud player below allows you to listen without leaving this page. The following url will take you to my growing compilation of demos titled Balm of Gilead. 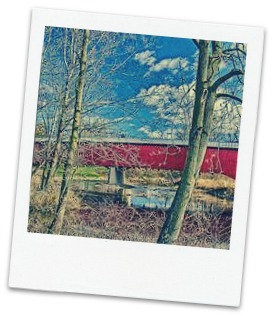 Country Home is the most recent upload to a compilation of new songs I am recording this year. The SoundCloud player below allows you to listen without leaving this page. The following url will take you to my growing compilation of demos titled Balm of Gilead. I grew up in a country home in central Pennsylvania, poised at the edge of Appalachia and surrounded by dairy farms. Safe, serene, and as thrilling as a glass of warm milk. The sweet smell of summer manure, I remember it well. Do you remember that first permanent leave from family and home? Perhaps you were off to college or your first real job, or perhaps the pirate inside decided the world was ripe for tasting. That moment of pulling away, watching your childhood home slip into a memory and realizing that from now forward you will always be visiting. In the summer of 1978 my girlfriend and I made the drive from Newport, Pennsylvania to Waco, Texas in a ’67 convertible Firebird held together with muffler tape and a lot of prayer. Every possession we owned was crammed into the back seat or strapped to the trunk lid. She lasted 3 months (I was not easy company) but I had the great fortune of making incredible college friends who helped me survive that initial jump from the nest. In the end we all do. This song goes out to them and all the friends who pull us through and give our lives color. Cmon Cmon is the most recent upload to a compilation of new songs I am recording this year. The SoundCloud player below allows you to listen without leaving this page. The following url will take you to my growing compilation of demos titled Balm of Gilead. A big thank you to my son Jess for helping co-write Cmon Cmon. He is a gifted songwriter and joy to play with, …when I can pry him away from the PS3! If my summer posts are a bit irregular, well we are on Provence time here in Aix and I am finding plenty of distractions with my kids. I hope you enjoy the new song. I Believe in a Dream is the most recent upload to a compilation of new songs I am recording this year. The SoundCloud player below allows you to listen without leaving this page. The following url will take you to my growing compilation of demos titled Balm of Gilead. I have been traveling for the past 3 weeks – to San Francisco and Barcelona, so no complaints – and haven’t had time to get a new demo completed on my 1 per month timetable. I Believe in a Dream was recorded in 1996 at Wellhausen Studios in San Francisco for my Eskimo in the Sun CD, with the help of my band there. I think it nicely fits the spirit and tone of the growing Balm of Gilead compilation so adding it here (in other words, I am cheating to stay on schedule). I hope you enjoy. I Can’t Wait is the most recent upload to a compilation of new demos I am recording this year from my Mirabeau Studios/living room in Aix-en-Provence. The SoundCloud player below allows you to listen without leaving this page. The following url will take you to my growing compilation of demos titled Balm of Gilead. That magic moment after a perfect first date, when goodbyes are said and your heart is pounding, you feel dizzy with hope and all you can think of is seeing them again? Do you remember? I remember, and wrote I Can’t Wait after one such evening. I hope it brings you good memories. On Heaven’s Highway is the most recent upload to a compilation of new demos I am recording this year from my Mirabeau Studios/living room in Aix-en-Provence. A click on the song name above will link you to SoundCloud where these songs are being shared. The url provided below will take you to the growing compilation of demos there titled Balm of Gilead. Chuck Cohick was a good man: loyal husband, reliable dad, hard worker and sober Christian. He managed an ARCO gas station where I worked as a teen in the mid ‘70s and fed me a steady stream of invaluable life guidance (I would have been well served to listen more closely). 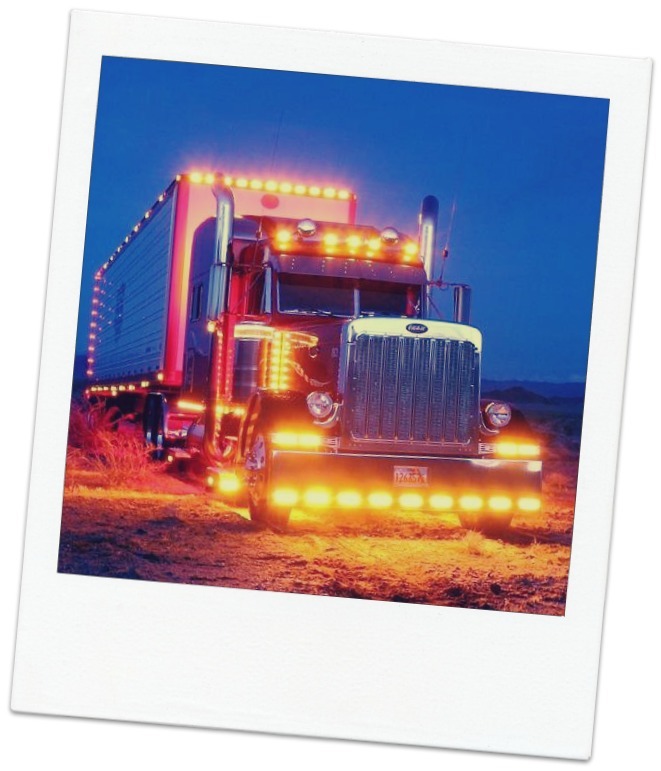 Chuck ran a popular service station but long dreamed of driving truck, and he managed to save enough for a second hand, well-worn Mack diesel, which his kids crawled over with wax and polish and lots of love. He flourished with this passion for long hauls on the road and in a few short years traded up to a magnificent new Peterbilt, not unlike the truck in the image at right. One early morning on his approach to home, after a long week of hauling steel over hundreds of miles, Chuck had a sudden heart attack and died behind the wheel. Chuck’s tombstone at the Newport cemetery (in central Pennsylvania) has a remarkable engraved image of his truck and the quote “On Heaven’s Highway.” This song was a gift to his wife Gail. Into the Falls is the most recent upload to a compilation of new demos I am recording this year from my Mirabeau Studios/living room in Aix-en-Provence. A click on the song name above will link you to Soundcloud where these songs are being shared. The url provided below will take you to the growing compilation of demos there titled Balm of Gilead. Life is on the wire, the rest is just waiting. – A quote from the great Karl Wallenda, who lived his passion through to the last moments of his life. Should we all be this brave. In an interesting aside, his great-grandson Nik plans a high-wire crossing from New York to Canada, across the mighty Niagara Falls, this summer. 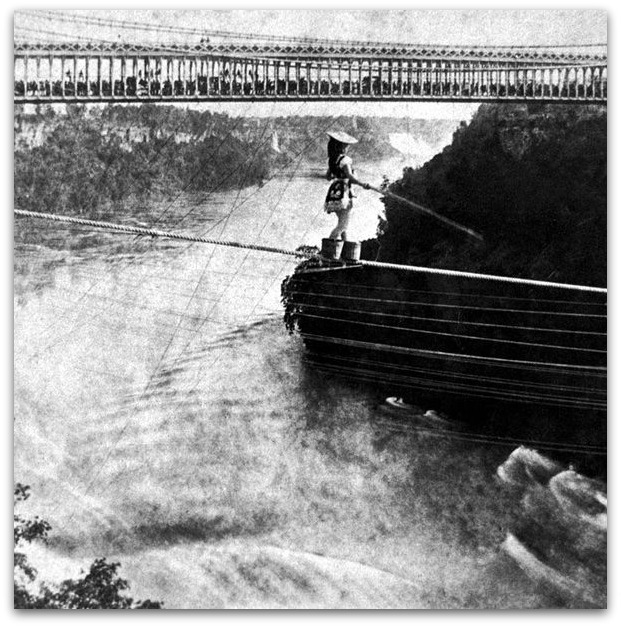 There hasn’t been a wire walker across the gorge in over 100 years. The photo at right shows Maria Spelterini making the crossing in 1876. As if the stunt wasn’t sufficiently heart stopping, she wore peach baskets on her feet. Paralyzed is the most recent upload to a compilation of new demos I am recording this year from my Mirabeau Studios/living room in Aix-en-Provence. A click on the song name above will link you to Soundcloud where these songs are being shared. The url provided below will take you to the growing compilation of demos there titled Balm of Gilead. Paralyzed was inspired by nights spent at the serpentine bar of La Rondalla in San Francisco, listening to the mariachis over cans of Tecate with a lime. 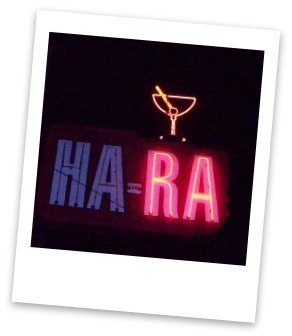 To those of you who experienced this magical place, with it’s cheesy decor and eclectic mix of local hispanics, hipsters, gays, bikers, students, and every stripe of colorful personality in the City who knew where to find a funky vibe, you likely shared my sadness at its demise in 2008. Qué triste. Daisy is the most recent upload to a compilation of new demos I am recording this year from my Mirabeau Studios/living room in Aix-en-Provence. A click on the song name above will link you to my page at Soundcloud where these songs are being shared. The url is also provided below. As mentioned in my year-end postcard, I plan to alternate between essays and new recordings each month (fingers and toes crossed). I am very interested in having someone more creative than me mash these recordings with video and/or photos to create short multimedia projects. Please get in touch if this sounds fun (or you know someone who might find this fun). Meanwhile, I hope you enjoy Daisy. As always, comments are welcome. Postscript: If (1) you find yourself in San Francisco and (2) you enjoy classic un-pretentiousness bars serving old-timey un-pretentiousness drinks (like Manhattans, as one example), with enough dust behind the jukebox (likely dating back to the Lefty O’Doul era) to keep it real, you may want to check out the Ha-Ra Club in the Tenderloin. It gets a nod in Daisy. Hallelujah, my computer has died. I got the dreaded blue screen of death yesterday and after spending too many precious holiday hours since then seeking out a simple fix, have surrendered and called a tech. Meanwhile, I am typing this postcard on my ancient Dell, weighing in at two tons and sporting a busted screen hinge, lazy processor, and without a wifi adapter. It hasn’t seen the light of day for at least 2 years and perhaps thrilled to feel the electrons surge through the gates once again, but showing its considerable age. I have now joined the ranks of the unconnected. I am grateful that my laptop died frankly, grateful to lose the distraction while my kids are here for the holiday break. The pull of the internet is addictive, even (or especially) during our supposed down time. Patterns set in that any smoker would recognize, the just out of bed fix, then just after breakfast, right before preparing lunch, and on and on through the day. And each dose can linger indefinitely, depending on the fascinating news items to be found. What, Snooki lost 10 pounds on the cookie diet? The cigarette habit is hard to break because the association of a lit smoke with those recurring moments of our daily routines is a constant reminder of the craving. I find the call of the internet equally difficult to refuse. The internet has changed Christmas forever, particularly the shopping part. Who wants to stand in line with the masses? It is infinitely easier to browse the web looking for just the right gift, and now even possible from the mobile phone. Add credit card number and shipping address, and in a relaxing hour or two on a slow night (and with a glass or 3 of warm mulled wine for inspiration), voila, Santa’s bag is full. Yes, it is certainly easier to make our gift selections through Amazon, iTunes and other digital storefronts, but it also makes gift buying less genuine, more perfunctory. I wonder if our great grandparents made similar remarks in years past, when handmade gifts yielded to department store buying. 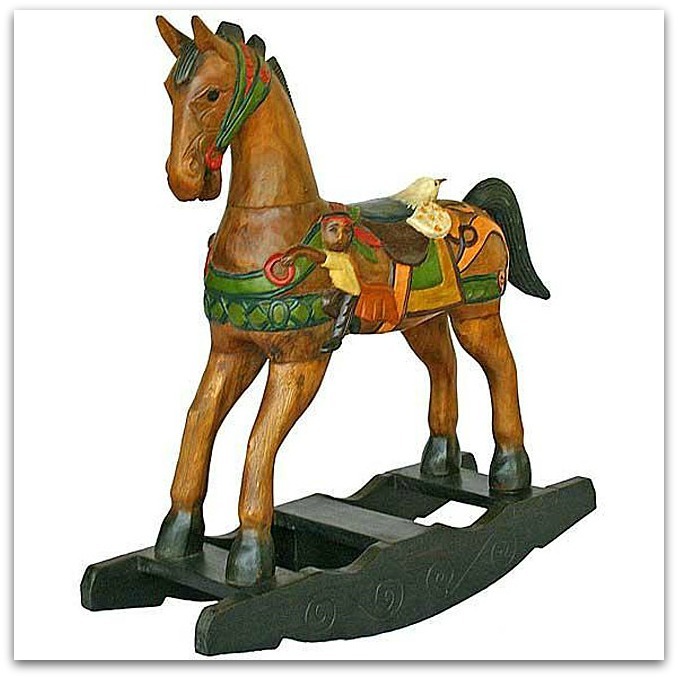 Papa spends 2 months in the shed cutting, shaping, sanding, gluing, nailing, painting, and accessorizing junior’s hobby horse, only to see his kid pine for the more polished factory-assembled horse in Macy’s Christmas display window. Dammit! New Years is just at the corner so it’s time to consider resolutions. Mine come in the perennial and annual varieties. A recurring pledge involves running (doing more of it) and drinking (doing less of it). Success varies. Last year I also resolved to start a blog where I could publish essays on the art of thriving post-50, personal happiness, and life in my much-loved Aix-en-Provence. This last entry for 2011 marks my 16th postcard for the year. I hope that you have enjoyed them, perhaps even found some nuggets of value in them. For 2012 I am targeting music, of getting back to songwriting and recording. The postcards will continue but alternate with a new posted recording monthly; at least this is the resolution. I also want to be more diligent with my gratitude journal this year and ask my kids for the same. It is an effective daily ritual for celebrating our good fortunes, not commiserating our misfortunes. If you have rituals for addressing the promise of a new year I would love to hear about them. The possibility of transformation is a key element of happiness and I am interested in different approaches to personal reinvention. The good lord knows well the work remaining at my end. Perhaps I will be her personal project for the year! Some of you may know that music has played a major role throughout my life, involving bands and songwriting, and culminating in a CD in the mid-90s called Eskimo in the Sun. As mentioned in the blog, I am working on a new collection of demos – working title: Balm of Gilead – that will be rolled out through 2012 (better late than never, right?). These are being recorded at Mirabeau Studios, also known as my living room in Aix, and can be accessed at cool site called SoundCloud. What they may lack in professional studio sound quality will hopefully be compensated for in grit, heart and soul. Should you like what you hear, please feel free to share them with friends. If a tree falls in the forest and no one is there to hear it, …. well you know the phrase. A first song has been uploaded. It is called How Hard and is meant to be played in sequence as a pair of 2 very different arrangements, the second called B Side.